Unlike Michael Hastings, the author of the article, I am an attorney and I don’t agree with his characterization of “illegal”. While it is indeed true that PSYOP (now Military Information Support Operations or MISO) cannot be employed against US forces, the incidents portrayed in the article don’t even come close to being illegal. They may seem inappropriate – but implying that a group of soldiers could “manipulate visiting American senators” is nonsense. Information Operations (IO) teams are often multi-disciplined, but they are certainly not endowed with mystical powers that give the ability to control people’s minds. LTC Holmes, the IO officer quoted in the article is either confused, misquoted, unaware of what PSYOP should or should not do, incapable of dealing with the media or all of the above. Labeling all PSYOP personnel as “propaganda people” is not only unfair and untruthful but also borders on slander. This type of quote surely reveals how little the Rolling Stone really knows about PSYOP in the first place and that they are more interested in readership and web clicks (which of course lead to more advertising money – duh) than in reporting actual news. In the commercial sector many companies employ government relations as an information conduit between the company and the government. They may also employ lobbyists, who are paid and generally must register themselves to influence legislation. These two functions are related but different. The military possesses no such stated capability. In my view, LTG Caldwell was only being prudent by preparing for a visit by a senior Congressional Delegation (CODEL). Executives prepare for visits by elected officials all the time and elected officials go out of their way to provide bios and other information through their web sites and other means. Notwithstanding the fact that Caldwell is a 3 star LTG, he doesn’t have a government relations staff. People with the skills to prepare him for the visit would like sit in a number of places throughout his HQ such as Public Affairs, PSYOP (MISO), Intelligence and perhaps even Personnel or Operations. He could conceivably turn to any or all of these sections to provide people for this additional duty. VOA Must Be Working! Hacked by Iranians? The Voice of America (VOA) has been in the news lately. 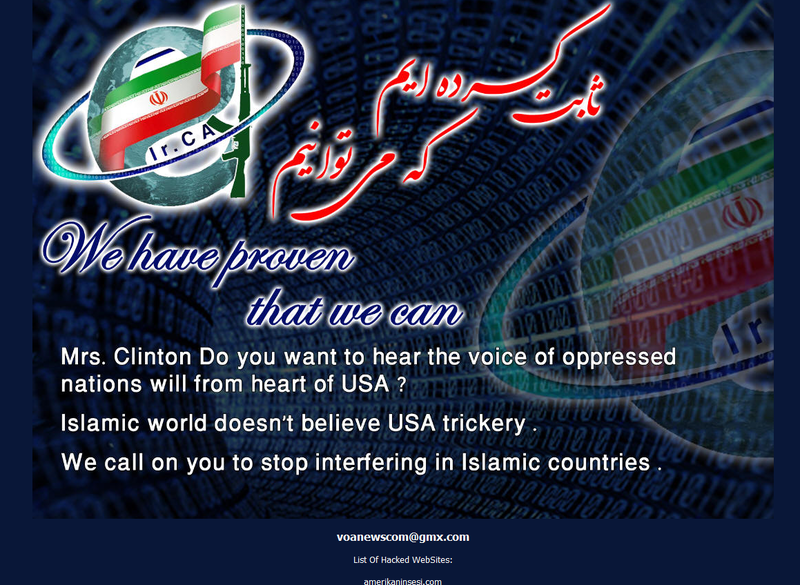 An Iranian group is claiming responsibility for hacking the VOA website (www.voanews.com). 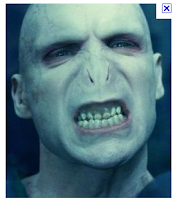 The screen shot along with this post speaks for itself. Reactions by your enemy are always worth noting. In this case a faction of Islamists has claimed responsibility for hacking the VOA. The logical conclusion is that VOA has been effective to the point where the hackers felt they needed to attack. The VOA has been in the news recently as President Obama is in the process of cutting some of their funding as part of his overall program to reduce government spending. It has been argued that shortwave communications in the day of the Internet and the smart phone is a technological buggy whip. 1. Influence operations cross media to accomplish their goals. In this case the Iranians are attempting to counter VOA by bringing their website down – a cyber means against a broadcast medium. 3. Sometimes it’s not really possible to know what effect your influence operations are having. In this case can we assume that the VOA is so effective as to earn the ire of the cyber savvy adversary? 4. The military principle “Unity of Command” dictates that a single CDR direct an operation. I am highly skeptical that a single entity, much less an accountable CDR has the responsibility of tracking this hack and addressing the effectiveness of the group taking credit. Truly we live in interesting times. Middle East MISO - PSYOPer Suit Up You're Going In! Like it or not MISO (PSYOP) soldiers may find themselves in the Middle East. Assignments could range from the classic tactical PSYOP support, to being part of a UN or NATO task force with a peacekeeping role or reinforcing an already beleaguered embassy staff. So what would I do to get ready from an intellectual perspective? First of all I would admit to myself that I know more about China and Japanthan I do about the Middle East and I would spend quite a bit of time in front of a Regional Map with some printouts of the CIA Factbook. This would give me an area orientation and a basic understanding of how the geography looks. Next I might do some research in the Economist over the past few weeks to pick out the countries where stuff might happen. 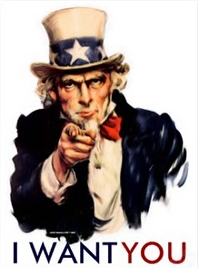 I’d research mil to mil contacts the nations might have had and seek out anyone – military or civilian – who could help me understand the cultural and behavioral nuances. I’d find Arabic language resources. A pocket-sized phrase book is a must. I’d also look for a cost effective way to hear the language – maybe there’s an ap for that. Next I’d list the countries with the largest populations and classify them into those with major urban centers (making a special list of major cities) and those that are rural. I’d frankly put the more rural nations (e.g. Afghanistan types) down to the bottom of the pile figuring that they would be tribal and that what I need to know about my AO will depend on where I end up. Next I’d spend some time on Aljazeera English and perhaps determine their regular schedule so that I could get familiar with their personalities. I’d take my urban area list noted above and do some Google searching to determine TV stations and personalities. If they had an online version I’d spend some time with that maybe download some files off YouTube that I could watch on my Smart Phone. Lastly I’d tune up all my electronics: Flip, Digital Camera, Laptop and Smart Phone and get a couple of emergency charger things. Oh yes and I stock up on cigars. 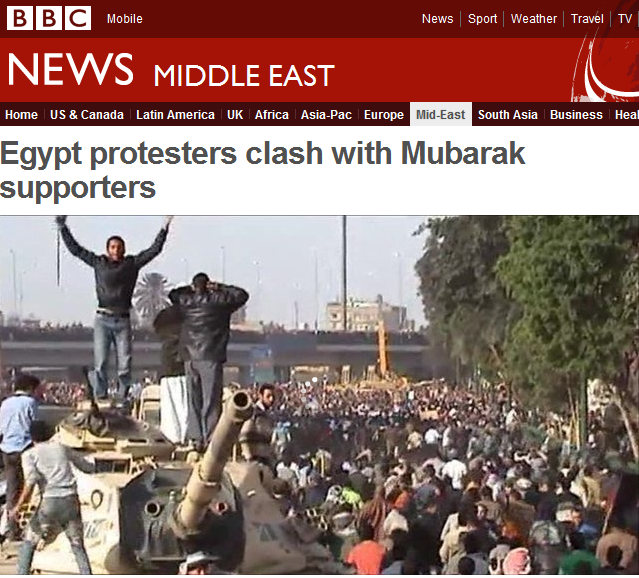 Al Jazeera – A True Strategic Communicator! 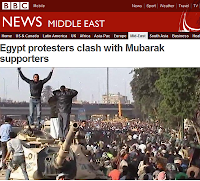 The Doha, Qatar based Al Jazeera has received gushing reviews of its coverage of the Egyptian demonstrations that began on January 25, 2011. Main stream media such as the NY Times with its 7 February article: Televising the Revolution (see http://www.nytimes.com/2011/02/07/business/media/07aljazeera.html?_r=1&scp=1&sq=Televising%20the%20revolution&st=cse) are also noting that Al Jazeera is seeking to raise its global profile by being permitted on US television. 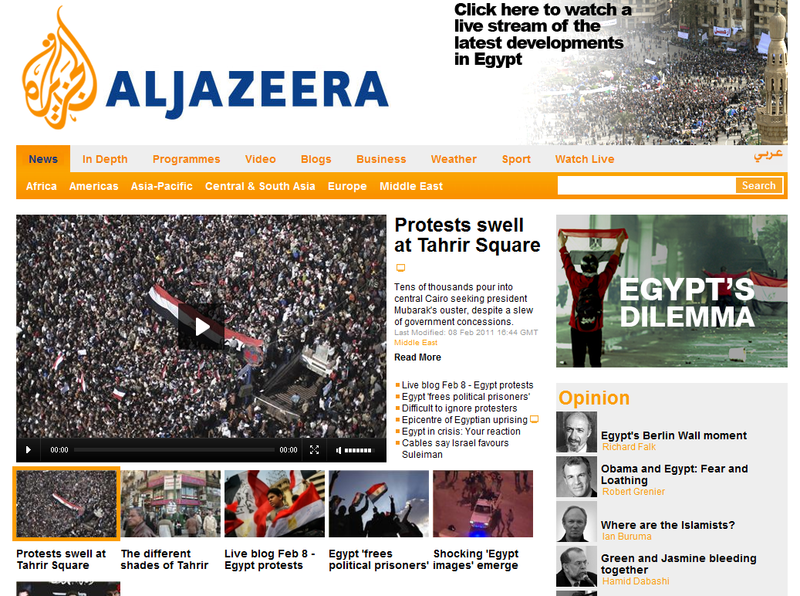 US English speakers interested in viewing Al Jazeera have to use the Internet (http://english.aljazeera.net/). The network has often been criticized for its biased reporting and negative rhetoric aimed at the US and Israel. Arab supporters on the other hand claim that Al Jazeera offers one of the few unvarnished views of events in the Middle East - - untainted by Western influence. There is no doubt that the network wants a US presence and wants it badly. They tried to push their case even further by taking out a full page ad in the NY Times which, for its part reported that the Network has a meeting scheduled with Comcast. There are several potential reasons why the network wants into the US market. First of all there’s the money, the US is a large lucrative market for advertising and its viewers represent what may be an under served market. There are potentially more nefarious reasons. Once the network gets on the US airwaves they will have the protection of free speech and freedom of the press. Protection not afforded to them in certain quarters of the Arab world. They will also have a means to reach an impressionable American public that tends to believe what it sees on TV rather than the facts behind the events. This is a bully pulpit from which to broadcast slanted and biased news heavily laced with provocative imagery. This kind of influence on public opinion has altered political actions in the course of history more than once. Lastly, the US market might prove to be a fertile ground to recruit disaffected youth to become international or domestic terrorists. Consequently it is not clear what the network’s true motives are at this point. However, it is clear that they have taken the strategic step of recognizing the opportunity presented to them by the Egyptian events. This opportunity allowed them to put aside some of their traditional viewpoints and objectives in favor of tactics designed to establish their journalistic bona fides in order to achieve a more long term set of strategic objectives to be gained by entry into the US broadcasting arena. If you were “Mike”, what would you do? Of course the first thing is you would call your boss (Secretary Gates and his boss, President Obama) to relate the news and seek their guidance. They of course would ask you first “what do you think”? My gut reaction would be “Sir, I don’t think this is a good idea.”. I’d base that on a number of things, first of all Las Vegas would likely rule that the Mubarak government is an odds on favorite to lose power sooner rather than later. Secondly US popularity in Egypt is quite low so that the sight of US troops and Egyptian troops and/or police is likely to be akin to throwing gasoline on a fire. Consequently the tactical perspective is not favorable. Having said that, I would offer up: how about asking General Alexander if the Cyber Command or one of its component commands could spare some horsepower? A Combined Joint Egyptian Influence Task Force (CJEITF) could be stood up. The CDR of the CJEITF would be a US Flag officer and the deputy would be an Egyptian Flag Officer, one rank down. Together they could orchestrate an influence strategy that would range from strategic communications to messages for tactical forces and law enforcement engaged in keeping the pace. The Cyber Command personnel would orchestrate the Internet activities such as monitoring and perhaps controlling traffic to and from social networks and employing computer network exploitation (CNE) to harvest intelligence information from the Internet. MISO personnel working with their Egyptian colleagues would develop the content for social networking sites, Blogs and others. The CJEITF PAO would be working with local and regional media to insure an effective two way conduit of information. Conceptually this behind the scenes approach would reinforce Egyptian governmental capabilities in furtherance of US interests in the region without showcasing US involvement and minimizing US tactical exposure.